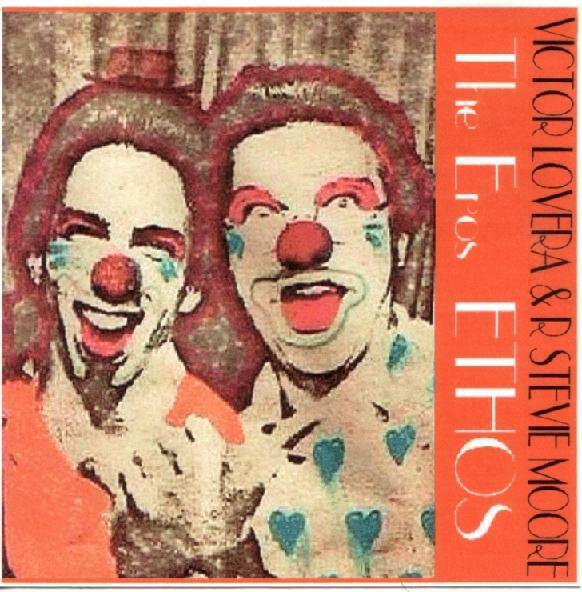 AMG REVIEW: A collection of tracks covering nearly the entire lifespan of Victor Lovera and R. Stevie Moore's short-lived band Ethos (disc one was recorded in 1975 and 1976, disc two in 1973 and 1974), The Eros Ethos gives the broadest overview of the group's sound. This is particularly interesting on the first disc, the last recordings under the Ethos name. This period was already known to be pivotal in Moore's career, because it's the time when he first put a concerted effort into writing the kind of concise, quirky pop songs that would eventually show up on his first proper solo album, 1976's Phonography. 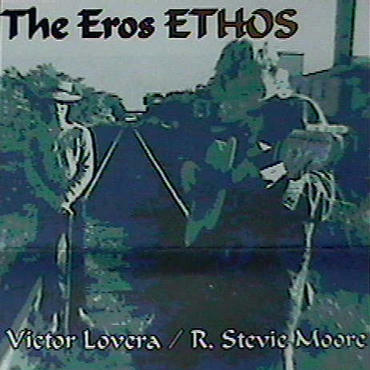 Disc one of The Eros Ethos was clearly written and recorded around the same time as the Phonography sessions, as they share that album's peculiarly trebly, compressed sound (many of Moore's guitar lines sound like they might have been recorded at slower-than-playing speed, to give them a higher, squealier sound and more propulsive rhythm) and artsy-glammy pop song sensibility. The earlier material on the second disc is slightly more conventional pop/rock, with some of the singer/songwriter tendencies of Lovera's and Moore's earliest collaborations. 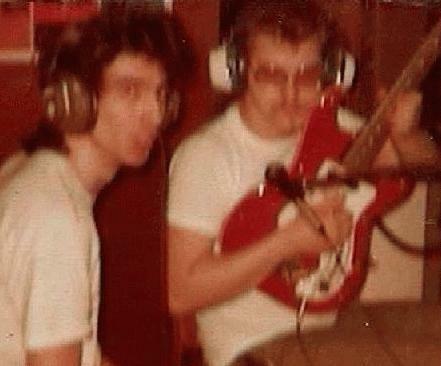 Even on relatively early songs like "She's Impressed Me, Yes Obsessed Me," however, Moore's musical influence sounds more prevalent than a scan of the songwriting credits (Lovera wrote 24 of the 27 songs by himself, and two of the remaining three are different versions of one Lovera/Moore collaboration, the bouncily McCartneyesque "Since We Know") would suggest.